The clean solution for power supply and material feed. 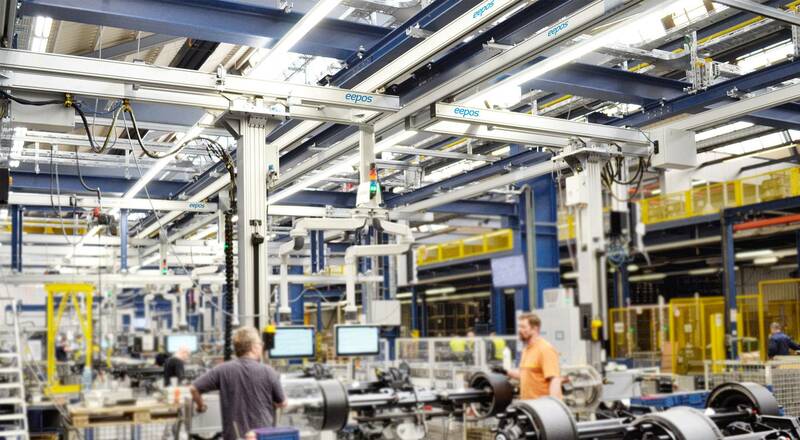 The Flexa GmbH manufactures high-quality protective hoses in its new production hall in Hanau. 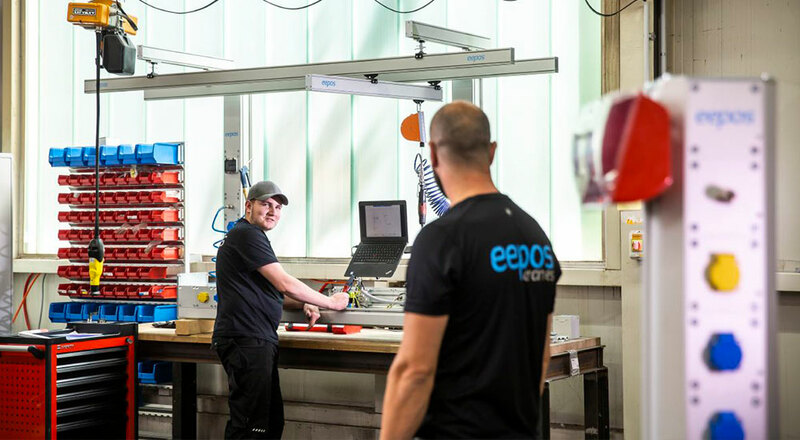 The eepos media columns are the central acceptance point for supplying their injection moulding machines with all the energy and material they need - and also for flexibly converting or retrofitting them in the future. 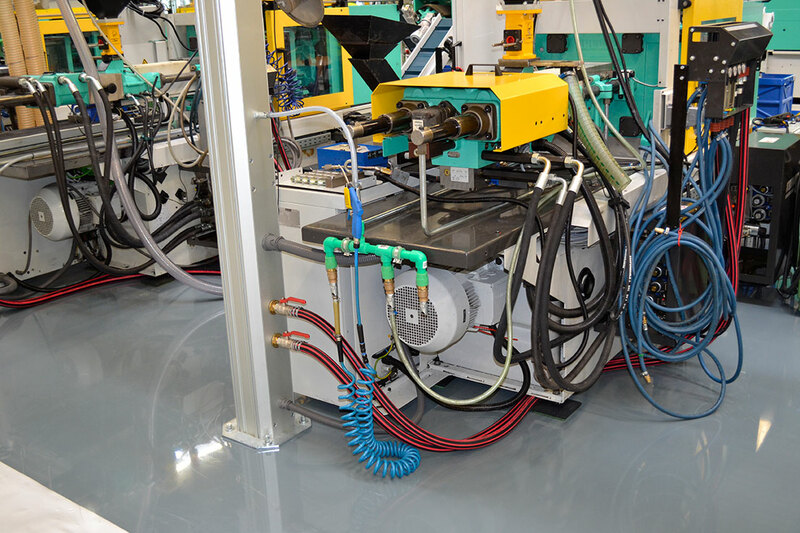 The product variety is decisive for the success of the Flexa cable protection systems: Depending on the application, the Flexa conduits can be manufactured in a wide variety of designs such as solvent-resistant, liquid-tight, UV-resistant or silicone-coated. 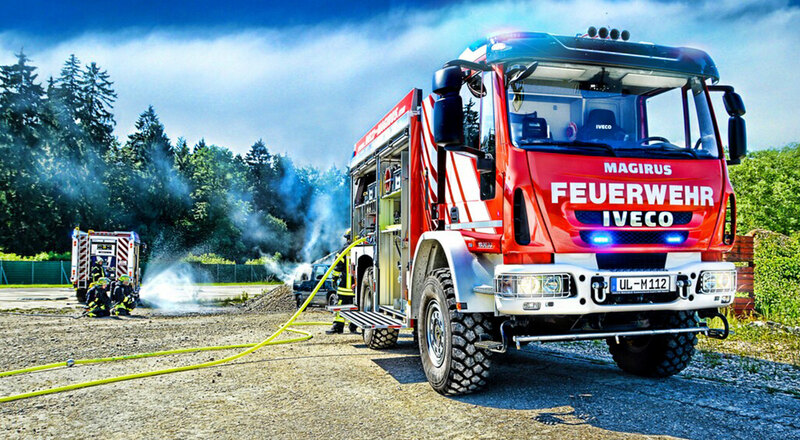 Even a temperature range from -60 to +300°C or gradations up to IP class 69K are no problem for Flexa cable protection systems. 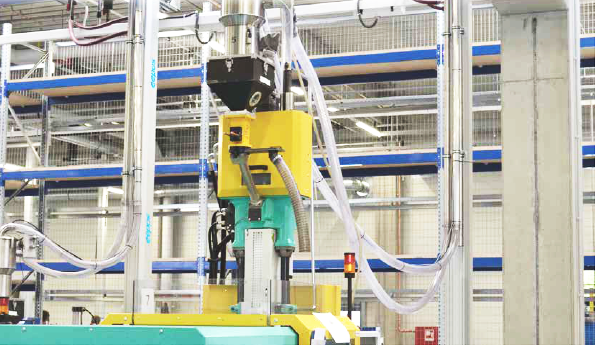 Since the demand for cable protection systems in mechanical engineering, vehicle technology, the rail vehicle industry, wind power plants and medical technology is constantly increasing, the company management decided to expand the existing machinery and to build a new production hall on the premises of the company headquarters. 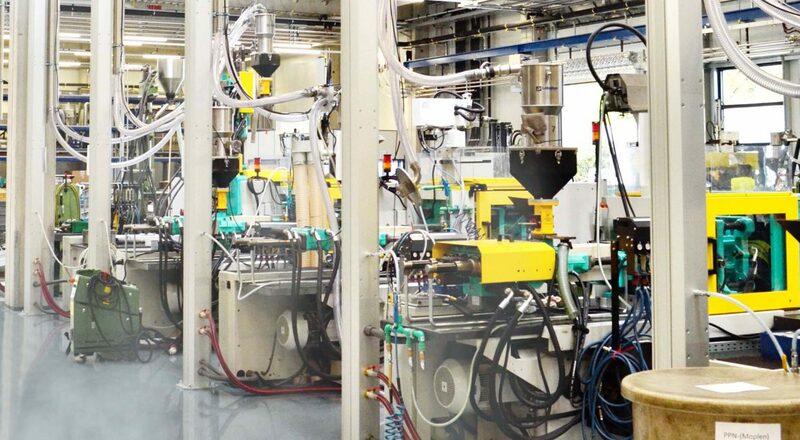 In the new production facility, the large variety of Flexa products was to be produced flexibly and the output quantities increased. And with all the flexibility, the greatest possible order, cleanliness and clarity should be guaranteed. 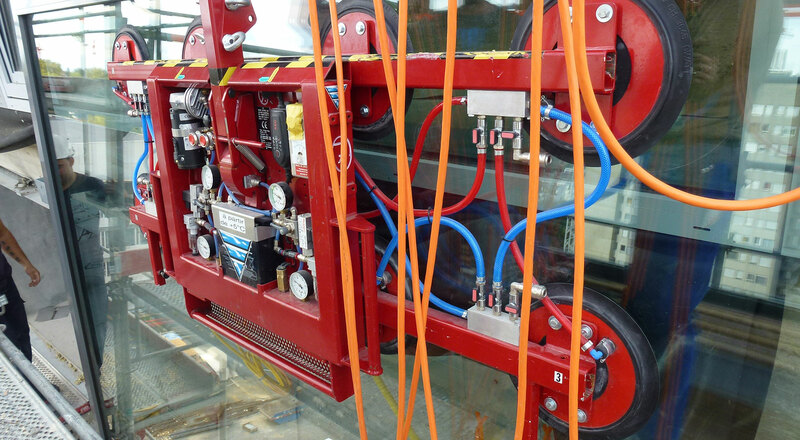 Due to the great experience in the manufacture of cable protection systems, the rough cornerstones of the production environment such as the installation of the machines and the general material flow were quickly worked out. The material and energy supply should take place via a second level above the machines and still be inexpensive and easy to expand. 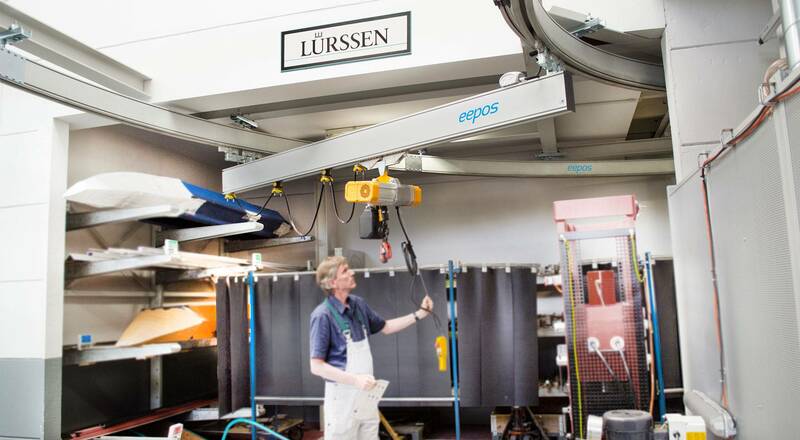 The solution became apparent when the technical manager, Mr. Sieke, came across the eepos media column base. Because the eepos media columns supply every machine with all required media in a stable, central and uncomplicated manner. The eepos media columns are designed as a modular system and are available in four sizes (XS, S, M and L). A stable base plate anchors the media column firmly to the floor. The upper side of a base column can be closed by a plate or remain open at the top. On our online platform eeworld you can inform yourself about the different media inserts and covers and also order them. 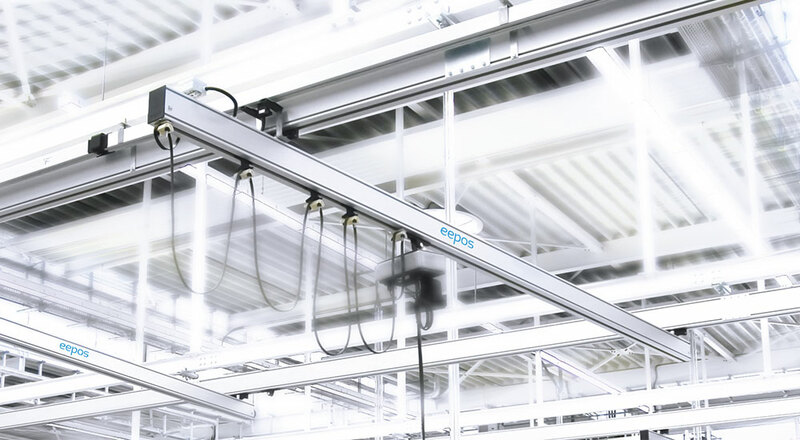 eepos base gives you the greatest possible degree of freedom for the most diverse applications. 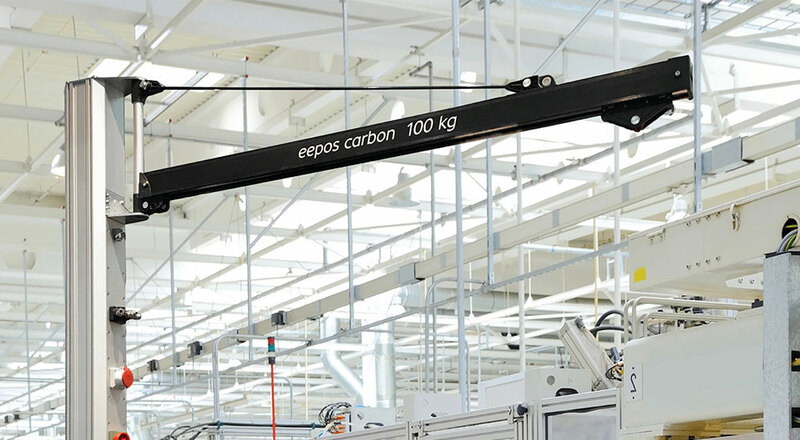 For example, with the sizes base M and base L, the eepos carbon slewing jib crane can be installed or retrofitted on one side or on both sides. 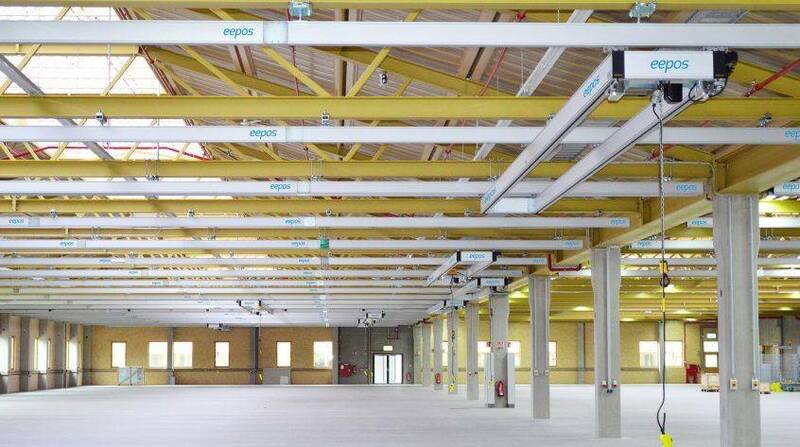 Flexa decided on the media column base M and the supply of compressed air and electricity from above. 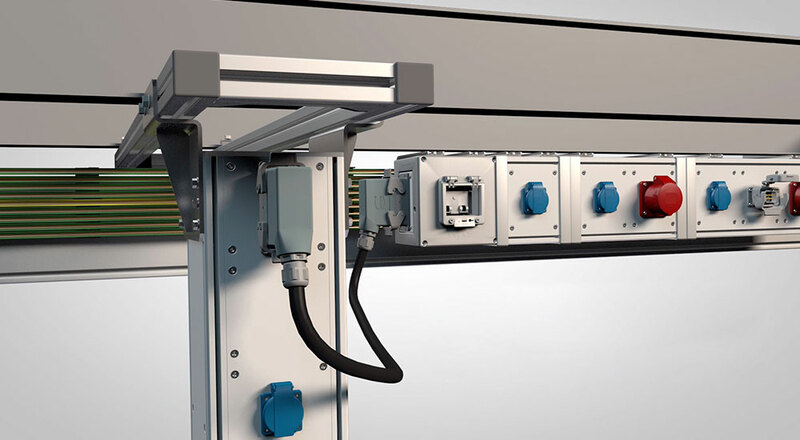 Sensors and actuators are also guided in the aluminium column. Material hoses with larger diameters are attached to the external item grooves. Flexa decided at short notice to install the media columns before installing the final floor. 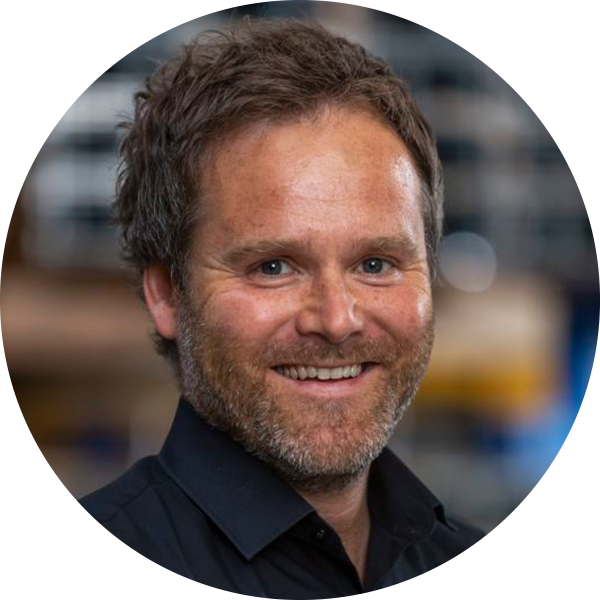 Mr. Sieke reports: "When the decision for eepos was made, the speed of the final design, delivery and installation fit very well into our schedule. We opted for heights of 4 meters and 6 meters and immediately ordered the first 11 columns. The support and input from eepos was very fast and really good. Our employees here at Flexa immediately recognized and used the possibilities of the base M media column". Mr. Sieke also provides an example: "Good that eepos provided us with the cover plates for the front and back side unmachined. 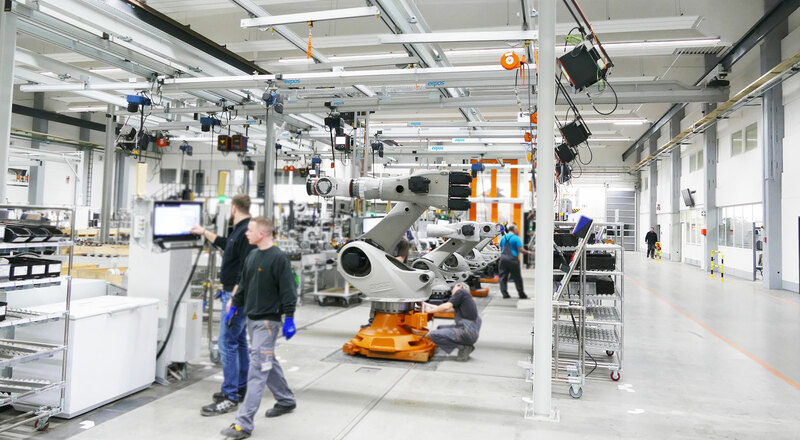 This enabled us to optimally determine the individual positions and heights of the connections and exits here in the hall in discussions with the production and service staff. What made me very happy was that this immediately led to a high level of acceptance among the individual departments. The joint agreement meant that an interactive process was set in motion, so that we now have the best possible execution. And this is supported by everyone! In addition, the electricians were involved in the decision-making processes at a very early stage. Mr. Sieke: "The electricians decided to use the internal item grooves for the conductor holders. This saves us the cable duct down to the machines and at the same time the cables are protected. The individually screwed media inserts, which can be removed from the front, make it easy for electricians to change or retrofit cables and protective conduits." 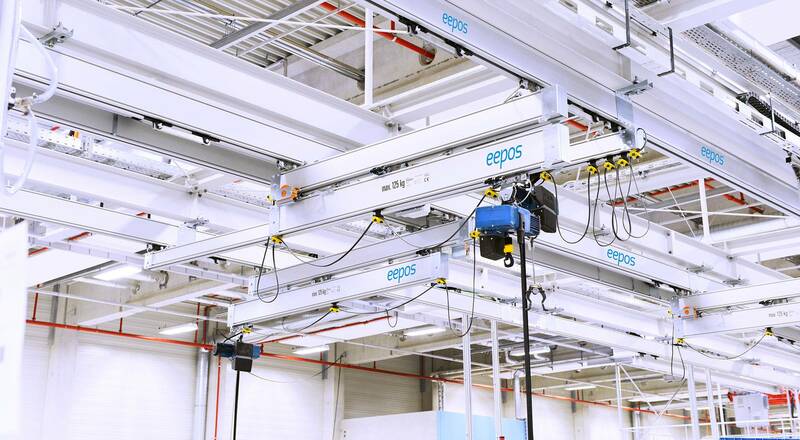 In the new hall, the plastic injection moulding machines are in a row and the eepos media columns next to them ensure the desired clarity. Mr. Sieke: "Thanks to the media columns, everything is tidy and well structured. They take up really little space and look good at the same time". At the end of the tour, Mr. Sieke summarized his experiences: "We don't just show our new hall to every supplier. But the cooperation with eepos was really fun for all of us. 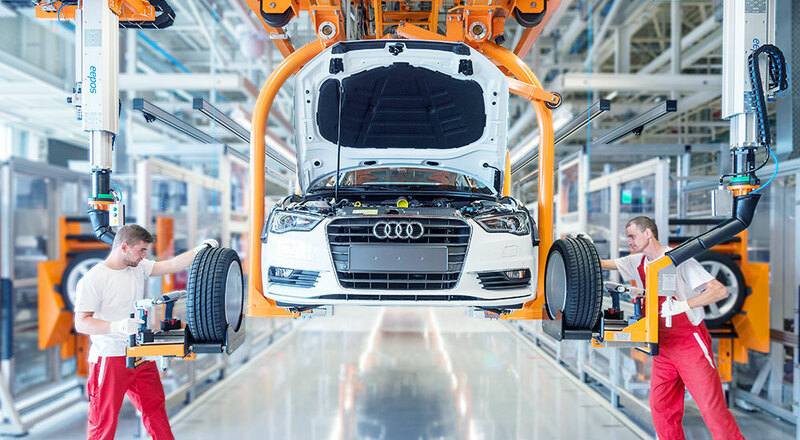 The speed and flexibility of their people and their products convinced us. We can absolutely recommend the eepos media columns. 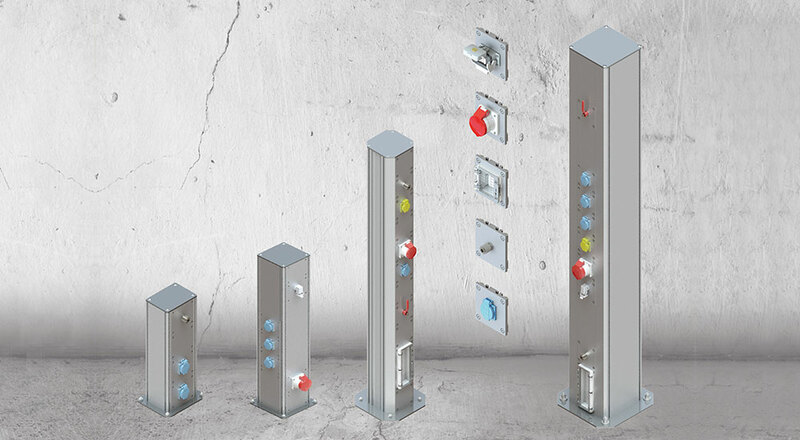 It's still interesting to note that the eepos base media column is always recommended for a wide variety of solutions. In this way we notice that this was just right for us. We are virtually looking for new areas of application to use the media column."